The hottest band in the world.... my all time favorite and this has to be their best concert to date. 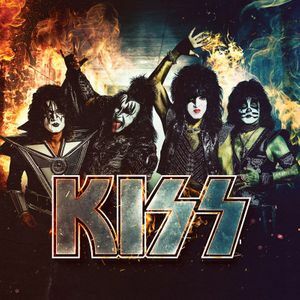 AWESOME SHOW!LIKED THE OLD SCHOOL KISS PHOTO'$ OF MY BOY'$ PETER&ACE;WHO SHOULD BE IN THE SHOW&ON STAGE WITH VINNIE&BRUCE&MAYBE ANTON FIG TO SEND THE SHOW INTO ORBIT&NEW KISSTOY MILLENIUM FOREVER!!! Great show and band sounded great. High energy and great music.